In October 2012, CHEOPS was selected as the first small mission in ESA’s science programme. This week, 65 months of intense work later, we are essentially ready to ship the telescope to Airbus Defense and Space in Madrid to be integrated onto the platform for a launch from Kourou in French Guyana in early 2019. Despite a continued stress and an emotional roller coaster, it is not without a certain anxiety that we see it leaving… Have we assembled everything correctly? Have we tested it extensively enough? Have we measured everything needed? Once gone, there will be no return and no repairing… Almost like with children, we do everything we can to prepare them for life and then we must let go… and hope for the best. After ESPRESSO, the new high-precision spectrograph for the VLT, the departure of the CHEOPS telescope marks another important milestone in our efforts in developing new instruments. These represent major investments in our scientific future from which we expect important returns in the years to come in form of new data of unprecedented quality. For astronomy as well as planetary sciences being observationally driven sciences, new telescopes, satellites, and instruments are the key elements providing the bricks with which we build our understanding of the universe in which we live. 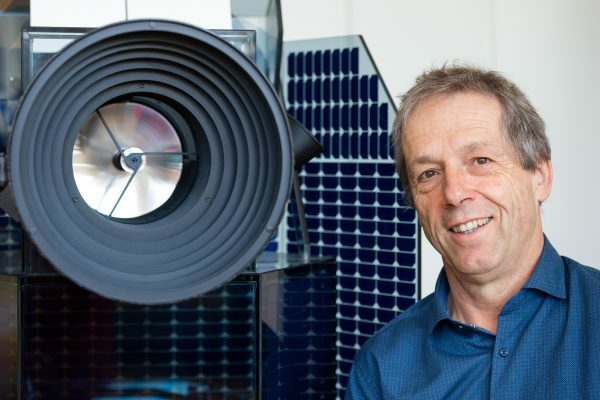 An organisation like PlanetS provides a unique framework in which our researchers and engineers can team together not just to dream about new instruments but realize the projects by bringing them all the way to the telescope or to the space platform. In an increasingly competitive world of big science, this is never straight forward and requires significant efforts to remain on the playing field. We hope you will enjoy the reading of this edition of the Observer.